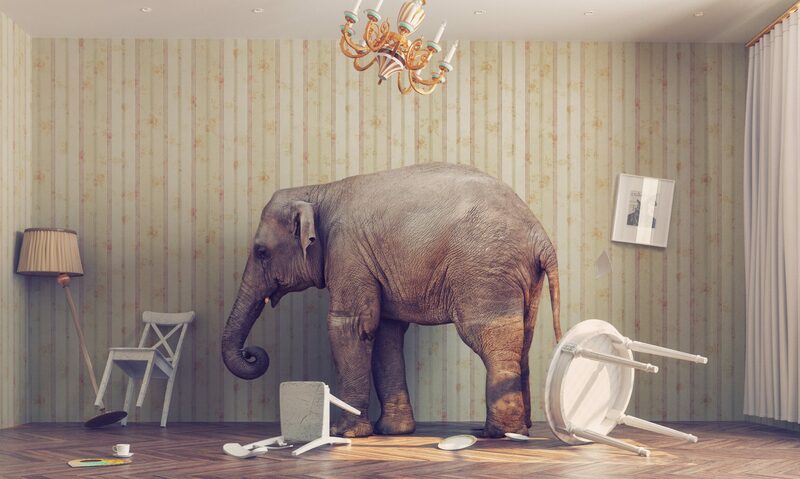 Elephants in the Room – Helping your teams be better performing by uncovering the "elephants"
Maybe you have an issue with your organisation you don’t understand, or things are not working within a particular team or area. Perhaps you want to help a team perform better. Or you just want to get an overview of the “elephants” in your organisation so you can move forward more effectively. We can support your organisation with its challenges. With backgrounds in psychology, organisational development, coaching, mindfulness, assessment, training, facilitation, innovation and change, we’ll choose the right people to help you. We won’t try to sell you anything you don’t need but we will get to the bottom of your challenges. If we can’t help we’ll find someone in our network of contacts who can. Our first step is diagnosis. We’ll aim to get under the skin of what’s going on. We will properly assess and gather information on the issues with you and your teams. We’ll also listen to any ideas you may already have about what you want. Our next step is a strategy and plan. We offer a package of possible solutions including emotional intelligence coaching and training, leadership and management development, group facilitation and coaching, executive and individual coaching, creative facilitation, strategic development, innovation strategy and process, internal communications, change programmes and mindfulness. Why not call? We may be able to help.